You have options when it comes to selling your manufactured home. Which is best for you? Should you try to sell your home by yourself? Should you work with a mobile home dealer to sell your home? You're aunt Martha has a friend that is an agent? How many mobile home deals has she closed? The California manufactured home market is unique and has some special requirements. you may be in for a disappointment. Statistics show FSBOs sell primarily to cash buyers at lower than market values. If you do decide to sell yourself, Craigslist will be your best distribution network. Just remember, professionals market on Craigslist too so you will need to be special and manage your ads to stand out. Find a good escrow company to manage your closing and titling. In California, a licensed manufactured home dealer can sell your home in a land lease community. Most used home sales by dealers are handled under net sales agreements. This means the seller is guaranteed a net figure from the sale and the dealer keeps the rest. That's great if a buyer agrees to pay the exact sales price you want. But they don't. Dealers are not real estate agents and don't participate in the MLS. This means no wide area distribution to real estate agents that represent home buyers in the market. Remember, only a REALTOR® can sell your home and land. We provide comprehensive services, including new home sales through our licensed dealership but it's not how we sell used homes. Just don't do it. The list of reasons is just too long. 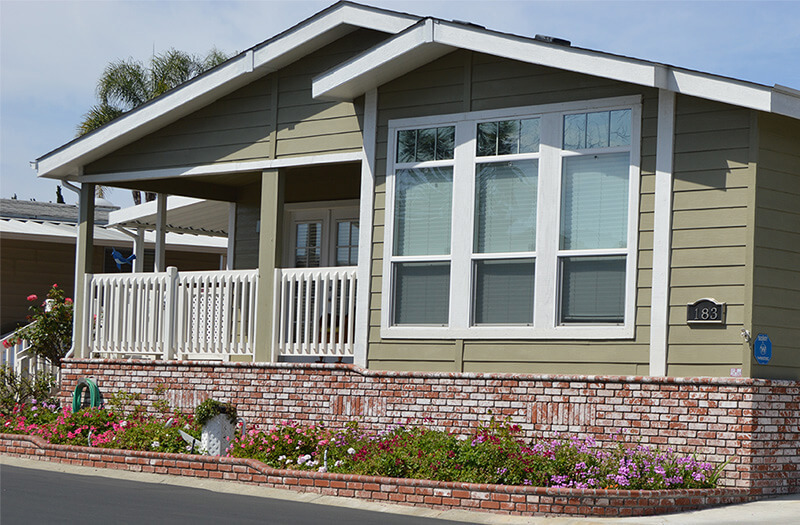 We built a sales platform just for California mobile homes and manufactured homes. We were lenders in the market before we opened our sales office. Closing thousands of loans gave us an understanding of the market others don't have, including Aunt Martha's friend. Our proprietary MH Value Database software is used by appraisers and industry professionals to determine manufactured home valuation. Understanding the market through better data gives us an advantage and helps us provide our clients with market leverage. MHRealtor.com is designed to help buyers find active mobile home and manufactured home listings fast and has become San Diego's best mobile home search too. Financial services, in house escrow and listing management by a broker that specializes in manufactured homes make MH Realty your best choice. For a no hassle consultation, Call us at 760-593-4200 Today!